Usually I write this blog for my own amusement and satisfaction, however I’m always happy to get feedback – and I think the most-common request I’ve had is to write a full review on the Radon Swoop 170. I did quite a comprehensive “first ride” report back toward the end of 2016, which is part of the reason I’ve held off from writing a more final evaluation of the bike until now. The other reason is that I’ve been a bit busy, but it’s a rainy Easter Monday afternoon and I’m stuck in front of the PC for work (with nothing happening), so here we go. The Radon Swoop thrived in Torridon. As covered in my initial write-up, the Swoop 170 is billed as a “super-enduro” bike by the German direct sales firm. It has (you guessed it) 170mm travel at both ends, very contemporary geometry and an excellent parts list for the price. I won’t dwell on it again, but the main points are a Vivid Air shock, Lyrik fork, GX 11sp transmission, Guide RS brakes, 150mm Reverb Stealth and Ergon/Race Face finishing kit. The only weak-ish link on the spec was the DT Swiss E1900 wheels, which were perfectly decent for the price but a bit vague in ride feel. It wasn’t too long until I upgraded to a pair of DT EX471 rims with Hope rear and Superstar front hubs – which were stiffer, more responsive and tougher. Those rims are so unbelievably tough, let’s just say that if Chuck Norris rode enduro, I know which rims he’d pick. He might have to deliberate a bit longer on which position to ride the geometry flip chip in. Personally I found the middle “trail” setting with its 65.3deg head angle best for up-and-down rides, only using the “park” setting with its 64.8deg HA for a couple of particularly steep rides. It was mainly the slightly steeper seat tube angle that I preferred on the middle setting TBH, rather than the slacker HA. Don’t ask me about the steeper “tour” setting, I never used it. I liked the proportions of the Swoop a lot. One of the main points from my preliminary review was my surprise and delight at how well the Swoop pedals. I still think it’s a particularly good pedaller for a long-travel 27in bike, and you certainly shouldn’t fret about choosing it over a 160mm bike, but I later realised that part of my enthusiasm stemmed from the fact that I’d just stepped off the Kona Process 153. Now the Kona was a great bike in many ways and full of character, but I didn’t fully realise how badly it pedalled until a little while after I’d changed bikes. With a longer perspective now, I’d say the Radon pedals well for a 170mm frame and has a great fluid suspension action over rocks and roots on climbs, but it’s not earth-shattering. A lot of enduro bikes can struggle a bit on mellower trails, feeling cumbersome or just plain dull as they soak everything up. Again the Swoop is on the positive side of the balance sheet here. It’s by no means a singletrack rocket, but it feels involving and fun and allows you to interact with the trail. You don’t really ride a 170mm travel bike for the climbs or the flat bits though, and the Swoop totally lives up to expectations on the descents. The suspension is easy to set up and feels planted yet still reasonably playful, it gobbles up the bumps while maintaining momentum and the chassis has, in my opinion, just the right amount of stiffness. It’s an easy, intuitive bike to ride and the long reach (460mm on a medium) gives good stability, while the short 430mm rear allows the bike to be hopped about more easily than you might expect. I’ve actually now been won over by the benefits of longer chainstays for an enduro bike now, finding I can go even faster with the extra stability they provide. However I must admit the Swoop never felt twitchy as some short-rear-end bikes can. I rode the Swoop locally, at Hebden Bridge, in the Lake District and on a fantastic week-long trip to the Scottish Highlands. It was absolutely in its element in places like Torridon and Kinlochleven. 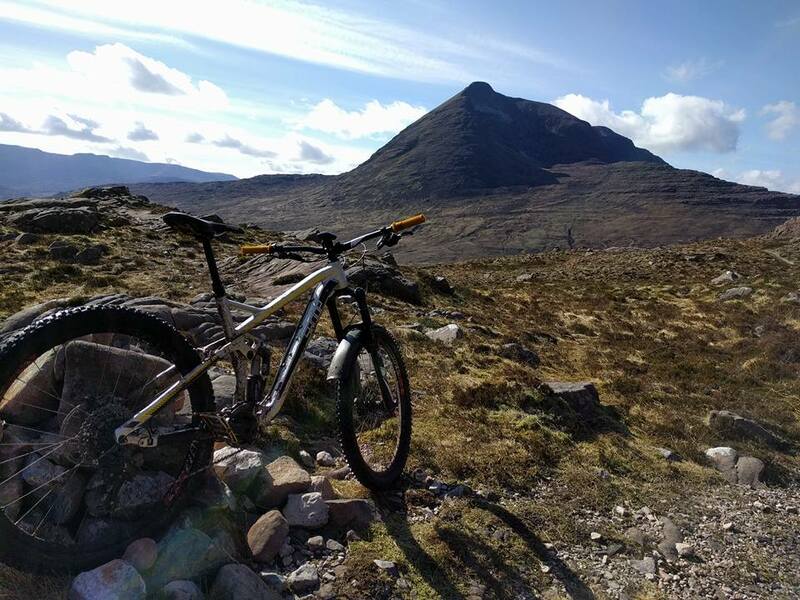 It devoured the rocky terrain with no fuss and coped well with long days of pedalling, leaving me feeling relatively fresh even after six days of riding. Note I said relatively fresh. Aside from the aforementioned wheelset, I also changed the bar and stem straight away. I began with a 45mm stem and 780mm bar, later settling on a 35mm stem instead for the quicker steering response. The other big change was swapping to a Cane Creek DBair shock with climb switch early in 2017. This improved the climbing a little bit and gave the bike a more planted, less poppy feel. The DBair has a reputation for feeling a bit dead, but it suited the Swoop quite well and I think it let me take rock gardens and root nests with a touch more confidence. I certainly never felt the need to browse coil shocks on CRC, if you see what I mean. So I’m no longer riding the Swoop, and I can pinpoint the exact moment at which I decided to change bikes. 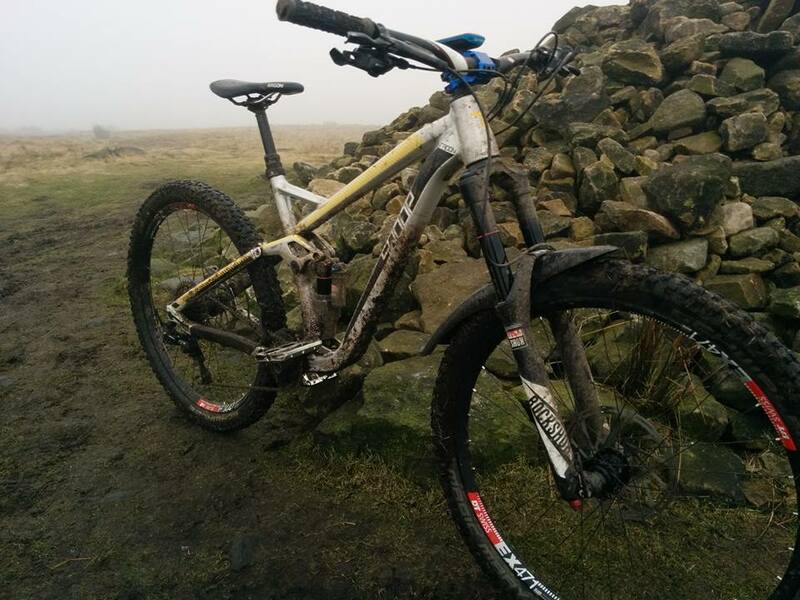 So I’ve now gone full 29er and the Swoop is with a new owner, through no fault of its own. I can honestly look back on it as one of the best bikes I’ve owned, and that’s in terms of build quality as well as the ride character. Everything about it was pretty much right and the high quality frame and low pricing made it such a sweet deal. In fact it still is, and I notice the new Santa Cruz Nomad is VERY similar in its geometry. Considering that you can buy a really nicely specced Swoop for the same price as the Nomad frame-only, I wouldn’t be surprised to see more of these German shred sleds on the trails in the near future. Unless everyone else buys 29ers instead, of course. Sometimes it seems like the whole world’s going 29in Florian! The Swoop was such a great bike but I think I just got it at the wrong time. I see the SWOOP has gone 29er, and I’m thinking of getting one. I’d appreciate your advice about sizing, they have tweaked the frame sizes upward for the 29er and now only offer 17-19-21 inch, but the 17inch is bigger than the 27.5 18inch ! The 17 inch has a reach of 462mm ( very similar overall geo. to YT CAPRA PRO RACE in Large) The 19inch has a reach of 476mm and a very long wheelbase similar to Yeti SB150 Large. I’m 180 cm / 5ft 11, with shortish leg and longish body, and weigh 13.5 stone / 86kg. Based on your experience with the bike what size would you recommend ? Hi Jim, I’m 5ft 7ish with short legs and the medium version would be a perfect fit for me – so I’d strongly suspect you’d want the large. I’d be half tempted to try it myself TBH. Post back here when you’re ridden it Nick! My pal is getting one too actually, but I’m enjoying my Stage 6 too much. Good to hear James, what bike did you have before? A 2012 nukeproof mega haha, I was converted to 29er as soon as i tried it! That’s quite a step-up in bike length too I bet. Yes I was on a large mega. I think about 440 reach. Went for 19″ swoop. Also size large and it has 476. Didn’t want to go too big. I’m 6″2 and it feels perfect for me. Still really fun and playful but very stable and confidence inspiring when it gets rough or steep ! Enjoy the benefit of the longer bike, it soon just feels normal (but still better). Whereabouts are you riding? I’m curious about who’s going to be buying the 29er version. Sounds like you have some decent trails to ride it then. 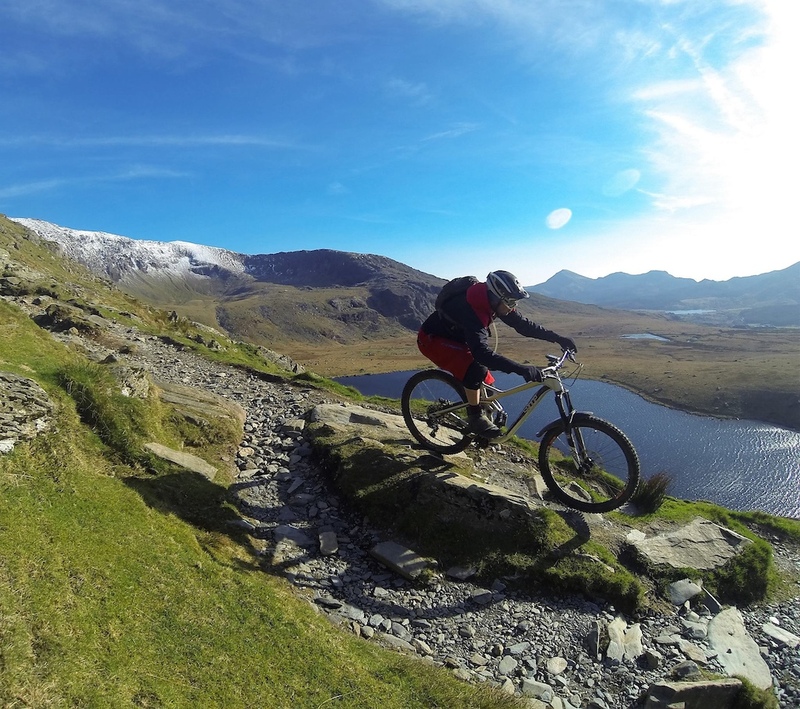 My mate was out with me on his Swoop 29 yesterday at Grizedale in the Lakes, seems pretty quick up and down hill. Love the steep seat angle.